Oh my God!!! I have so much snow I see in my city do not remember how long. Thanks for the reminding me Roskilde. Nice pictures. Seems to have been a private part of the officiel event. Summary of a shor tarticle in Billed Bladet #48, 2015. Written by the indomitable Ulrik Ulriksen. 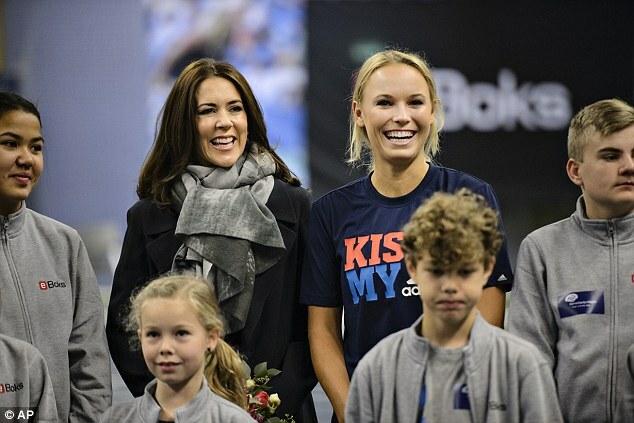 When Mary met Caroline Wozniacki she exclaimed: "It's nice to see you (informal) again. It has sure been a long time". 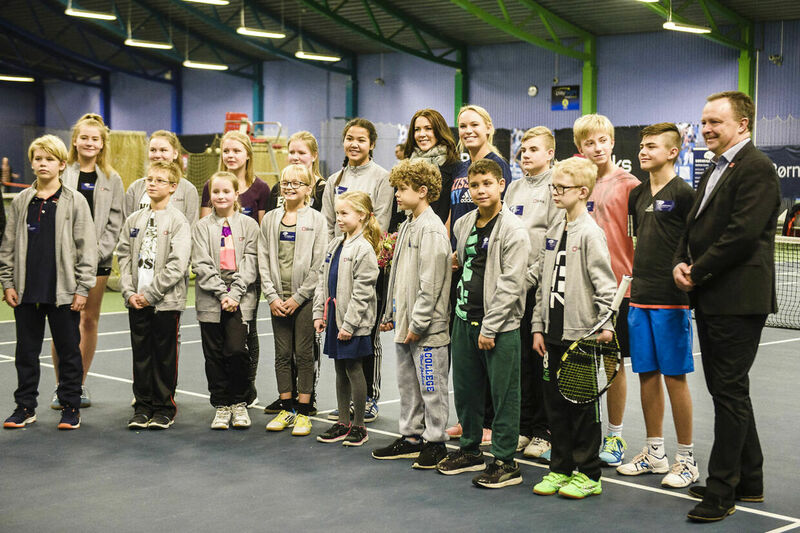 As part of the event Caroline Wozniacki was to play with two teenagers, Nikolai and Tobias, who while being tennis-talents are also among the children who have been placed in a foster family due to issues. Mary contended herself with cheering but she did meet and chat with the two boys, as well as a lot of other children. - Sport, especially team sport, is encouraged for the children who do carry in some cases quite a lot of mental luggage. Partly because it's healthy. But just as much because physical activity release endorphins giving you a sense of well being. And via sport they meet other children often in a similar situation as themselves and the team activity foster a sense of belonging, which children who have been placed outside their families need. I always like events related to sport. It feels so motivating.